Apple Dental has proudly been involved with the Lane Cove Cats for many years, protecting the players from the occasional bump and knock to their mouth region. If you are looking for world class dental work or a regular checkup, go and see Mark and his team. They also specialise in mouth guards that are custom fitted to your mouth for maximum protection. Apple Dental is a purpose-built dental facility in Lane Cove, on Sydney’s Lower North Shore. Their focus is on providing high quality dental care for the whole family, utilising the best available technology, techniques and materials such as CEREC single visit crowns, digitally guided implant placements and Digital Smile Design, for exceptional outcomes in cosmetic dentistry. World-class patient service and comfort are front and centre in their practice philosophy. Apple Dental boasts six dentists and a dental hygienist with a combined experience of over 120 years. The practice is open 6 full days and late nights Tuesday and Wednesdays. Apple Dental provides onsite parking and is conveniently located on the corner of Rosenthal Avenue and Finlayson Street, Lane Cove. We will also have physical books available for purchase at the BBQ on Sunday’s. We are excited to announce that Belle Property has joined the club as our major platinum sponsor. This follows the news that Holgate Real Estate and Belle Property have joined forces to become one of the leading real estate firms on the Lower North Shore. The Holgate name has been synonymous with Lane Cove real estate for the past 56 years and it is with great excitement that we welcome Tim Holgate and his team to Belle Property Lane Cove. We believe that great people make a great business. With the experienced staff at Holgate Real Estate joining Belle Property Lane Cove, we will provide even greater levels of expert advice and service to our clients and the community. The team at Lane Cove Orthodontics are thrilled to be supporting the club again this year and wish all the players a fantastic season ahead. It really does give us a kick (no pun intended!) when one of our patients comes into the clinic and tells us about their achievements at the Cats or we see them in their playing tops around the Village. We are so fortunate to have such a family friendly club in our community and are always impressed to see both girls and boys being encouraged to participate. Likewise we continue to be in awe of the efforts made by the volunteers. 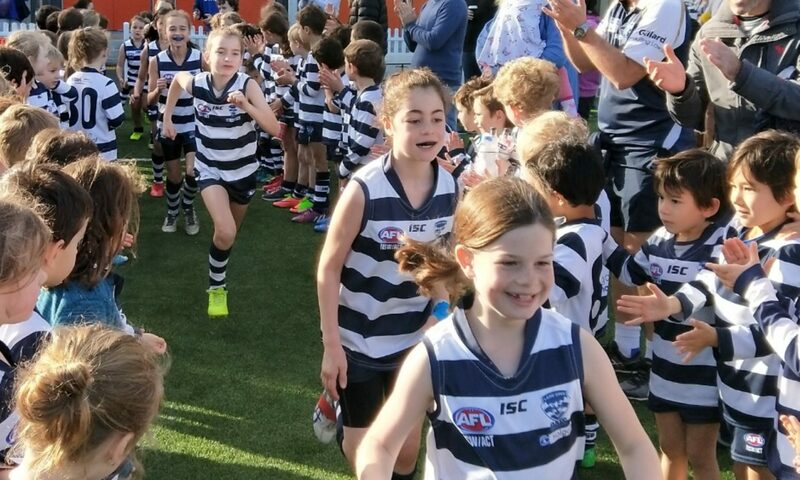 We feel it is this culture that makes Lane Cove Cats a special club and is why we are so happy to be a sponsor each year. As a member of the Cats club, we are happy to offer you a free consultation and if you have any queries regarding orthodontic treatment by a specialist orthodontist please contact Dr Rex and the team on 9427 8088. One of Lane Cove Cats major sponsors is Apple Dental. The owner of Apple Dental, Mark Casiglia has been involved heavily with the Lane Cove Cats and he has been a dentist in Lane Cove for over 25 years! Mark has some wise words here with regards to mouthguards and dental trauma, which will be of interest. Mouthguards are important for the protection of teeth when playing sport. Store-bought mouthguard offer protection against lip lacerations but due to a lack of tight fit against the teeth, dental injuries inside these types of mouthguards is common. They may also affect performance on the field due to the distraction of trying to constantly keep the mouthguard in place. Talking on the field, which is often critical to the outcome of play, is also difficult if not impossible with a loose mouthguard. Professionally fitted custom mouthguards fit intimately against the teeth, adapt well against the opposite teeth, stay snugly in place and offer far better protection against dental injuries. Should an injury occur such as a tooth being knocked out, the best course of treatment is to put it back in, without too much concern about whether it is straight or not. The socket is the best protection for the tooth. If this is not possible, storing the tooth in milk or wrapping it in cling wrap is the next best course of action. Either way, seeking out a dental visit as soon as possible after the injury is critical. We are a junior sporting club run by volunteers. Therefore we rely on the generosity of all our sponsors, big or small. Fortunately we have a great bunch of sponsors who provide much needed support to allow the club to nurture our kids. So a big thank you goes to all our key sponsors. Obviously our platinum sponsor Holgate First National Real Estate has been a great supporter over the past couple of years. We’ve also great support sponsors such as Apple Dental and Lane Cove Orthodontics. However we also can ignore Gillard Consulting and Avionics. While they may not be in the spotlight, like our major sponsors, they provide critical financial support for the club, for which we are internal grateful for. So if you need some lighting for your personal airport, Avionics should be your first port of call. Otherwise, Gillard Consulting could no doubt help with any commercial legal issues you may have. At upcoming Cats events look out for the Vision Lane Cove Gold passes. As a fundraiser to the club, you can spend only $30 and receive the following in return… Great value from one of our sponsors. This year Apple Dental will be repeating their special mouthguard offer. At $120, this is a significant discount to what Apple Dental charge for non-Lane Cove Cats members. We would highly recommend members take up this great offer from our major sponsor. Mouth-guards have a definite role in preventing injuries to the teeth and face and for this reason they are strongly recommended at all levels of football. The cost of treatment to replace or repair missing teeth can run into thousands of dollars whereas a good quality mouthguard is relatively cheap to purchase. Ideally, anyone who participates in contact sports, plus a fair number of non-contact sports such as horse-riding, bicycling and skateboarding, should wear a well-fitting mouth-guard. While it is possible to buy over-the-counter mouth-guards for just a few dollars, these are often very uncomfortable to wear, fit poorly and will offer very little protection. It is worth paying a bit more to get a custom-fitted mouth-guard from your dentist. This is designed to offer maximum protection to the teeth, gums, lips and cheeks and will be comfortable to wear. Comfort is an important factor as an uncomfortable mouth-guard is likely to remain in its box during sports. Apple Dental will take impressions of your mouth which are sent to the dental laboratory so a mouthguard can be made. It will be fitted on your next appointment and is then ready to use. It is important to make sure you clean it thoroughly after each use and store it in the container provided, making sure it is away from direct heat which could distort it. Holgate Real Estate is a third generation, family owned and operated business established in 1964 by Roy Holgate, the father of the previous owner, Brian Holgate and the grandfather of the current owner, Timothy Holgate. They have an extensive, ever growing database of current buyers in the marketplace including individuals, private companies, banks and financial institutions who require specialised and accurate information and advice. The business has also established a strong tradition of participation within the community that has supported it. With comprehensive local engagement, they aim to demonstrate a strong commitment to Lane Cove and its environs. You will find their office centrally located in the heart of the Lane Cove Shopping Village where their team of experienced sales consultants and property management staff will provide you with a personal service of quality and value. Their highly competent sales support team and office administration staff back the award winning sales and property management teams. All have many years of service with the company and are probably the most experienced (over 100 combined years experience), knowledgeable and longest serving in the Lane Cove area. Apple Dental provides you with a fresh approach to dentistry. Their modern practice in Lane Cove, Sydney, our friendly Apple Dental team offer you a comprehensive choice of modern dentistry procedures. Whether you’re looking for preventive dental care and hygiene instruction, or cosmetic dentistry from teeth whitening and dental implants to complete smile makeovers, we are proud to serve you. Contact them today and schedule a consultation with a respected dentist in Lane Cove. Onsite parking is available for all our patients. The upgrade and maintenance of airfields within Australia and overseas is now strictly governed and requires higher levels of safety, security and compliance to standard construction projects. Avionics meets this demand. Avionics has reinvented the airfield services contracting industry. Our procedures and installation methods are without peer. We use our own designed and patented Mobile Coring Rigs specific for our industry. Our Safety accreditation is to the highest possible standard in Australia (Office of Federal Safety Commissioner OHS Accreditation, a step beyond AS/NZ 4801). Our knowledge of operational airfields, MOS and ICAO standards, and the experience of working on the biggest airfields in the world ensures your airport is in safe hands. Gillard Consulting Lawyers is a commercial law firm focused on client needs. We are an experienced team that thrives on delivering exceptional service and solving complex and challenging legal problems. We take the time to understand your aims and objectives and provide the effort and judgment needed to get you the best outcome. We understand the many facets of compliance, negotiation and litigation and will use our knowledge and experience to lead you through the legal process and deliver results. Lane Cove Physiotherapy Centre is staffed with an advanced team of sports physiotherapists and exercise and science therapists offerring leading edge skills in assessment, treatment and individualized planning for return to sport, competition or daily activities. As a patient, you will experience the competent use of manual therapy, soft tissue work, motor patterning / re-training and the latest advances in exercise techniques to help you get back on the park quicker. Dr’s Teriko Rex and Darin Ballard, of Lane Cove Orthodontics, are the only specialist Orthodontic practice in Lane Cove and have been operating since 2004. They specialize in orthodontics for both children and adults. The rooms at Lane Cove Orthodontics are state of the art, offering that extra level of service, such as Invisible treatments with Invisalign and Incognito braces and the brand new Sure Smile system to reduce treatment time. Lane Cove Orthodontics is honoured to be involved in the sponsorship of the Lane Cove Cats. We are delighted to support such a committed football team in our local community. We are looking forward to a great season of football and to support the team for many years to come.